The GearWrench Stud Removal Sockets are designed to reach studs in difficult work areas and are some of the best professional extractors available. The 41767D GearWrench Stud Removal Sockets is one of thousands of quality tooling products available from MRO Tools. Please browse GearWrench Wheel Tools for tools similar to the 41767D GearWrench Stud Removal Sockets. 41767D GearWrench Stud Removal Sockets description summary: GearWrench stud removal sockets. 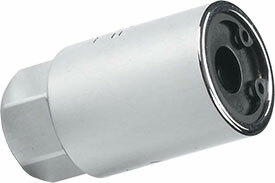 5/16'' Removal Socket 3/8'' Drive Quantity discounts may be available for the 41767D GearWrench Stud Removal Sockets. Please contact MRO Tools for details.